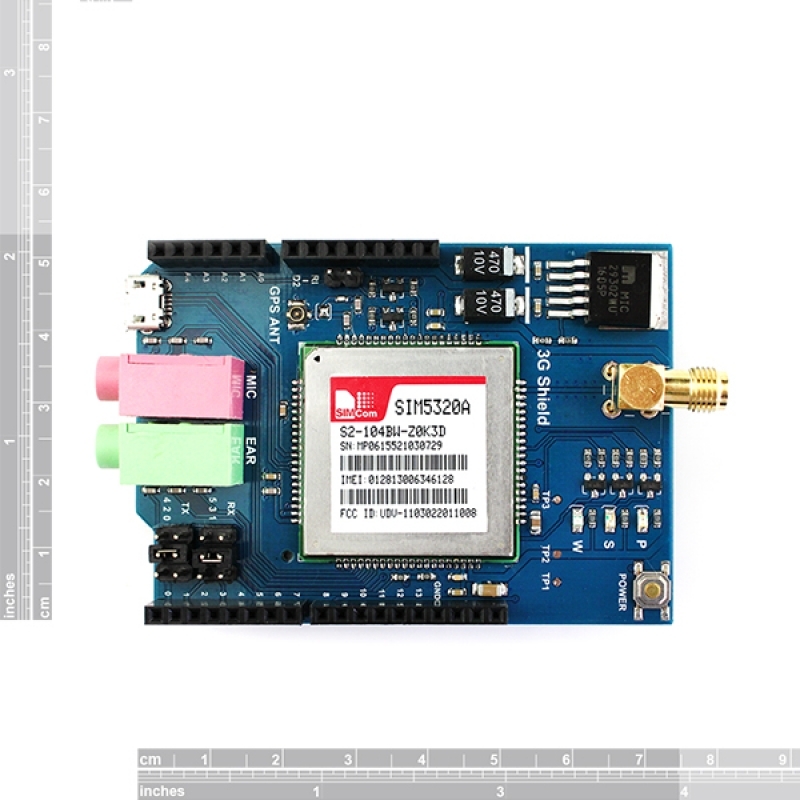 The Tinysine 3G Cellular Shield provides you a way to use the 3G/GSM cell phone network to receive data from a remote location. 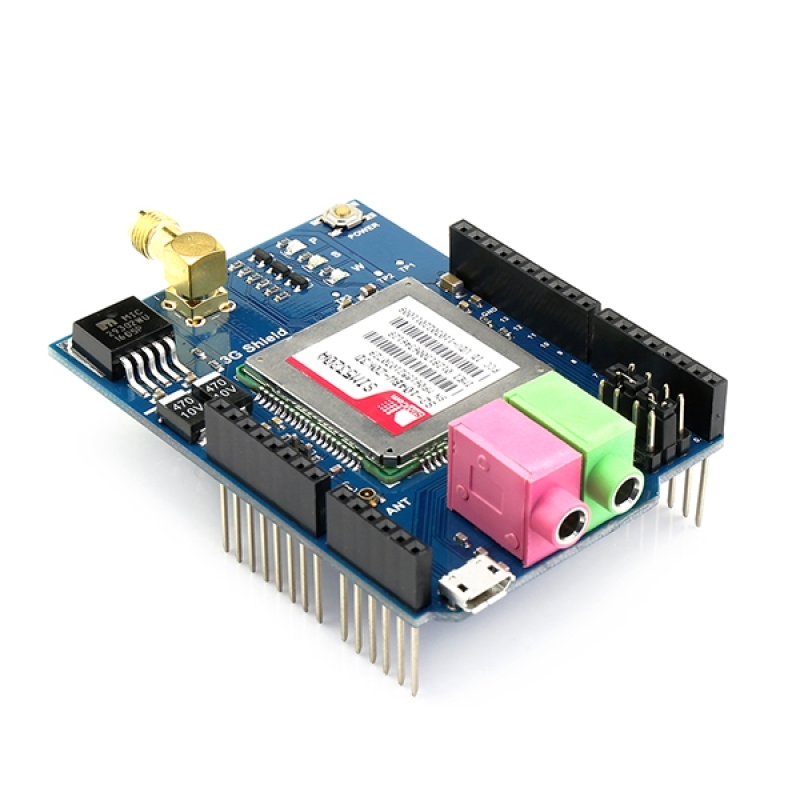 This 3G shield has better coverage, GSM backwards-compatibility and even sports a built-in GPS module for geolocation & asset tracking. 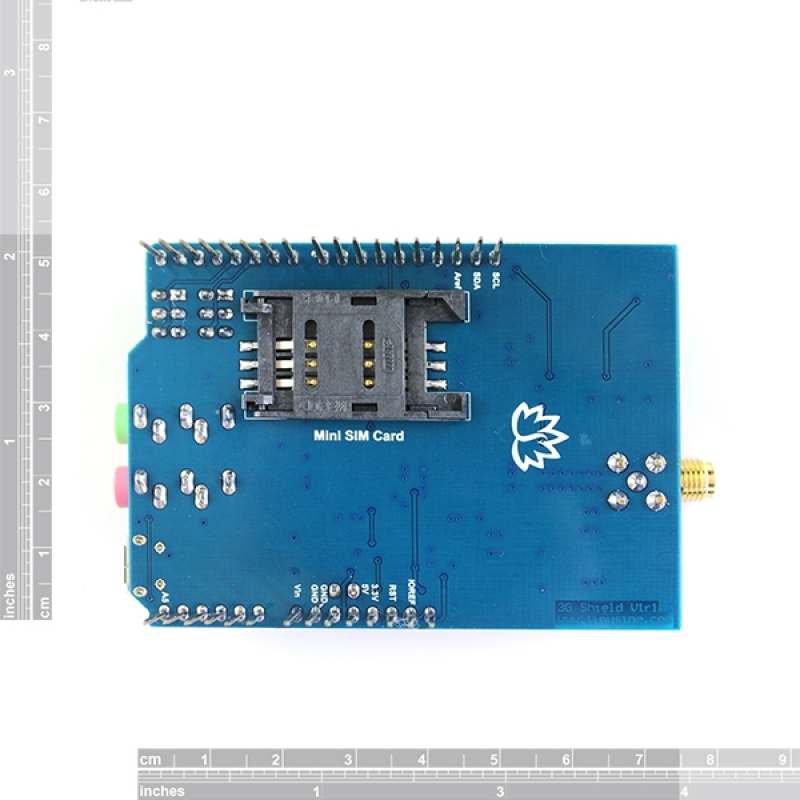 This all-in-one cellular phone module with that lets you add location-tracking, voice, text, SMS and data to your project in a single shield. 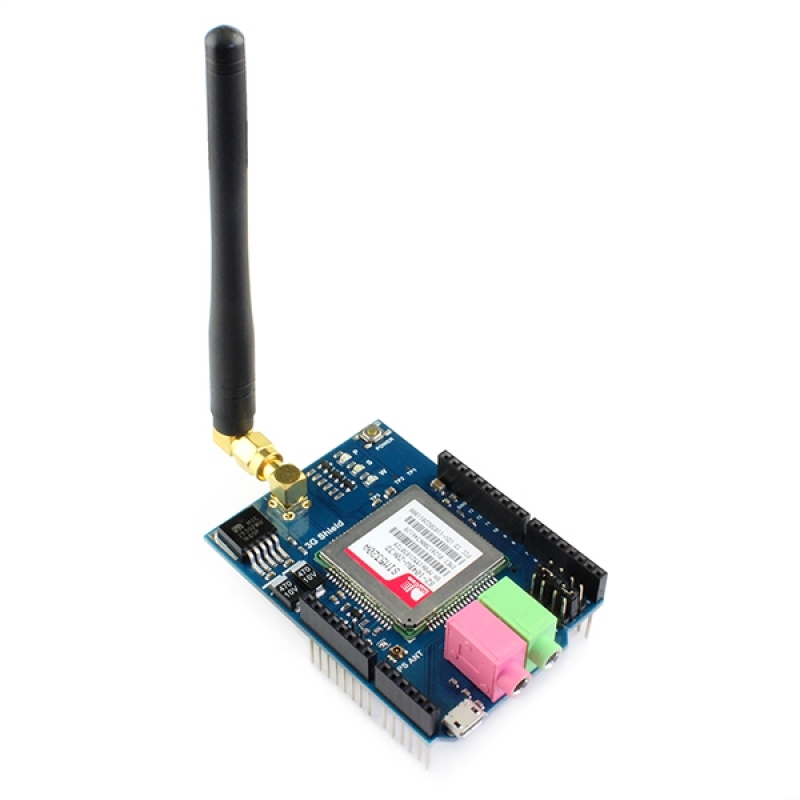 Quad-band 850MHz GSM, 900MHz EGSM, 1800MHz DCS, 1900MHz PCs - connect onto any global GSM network with any 2G SIM. 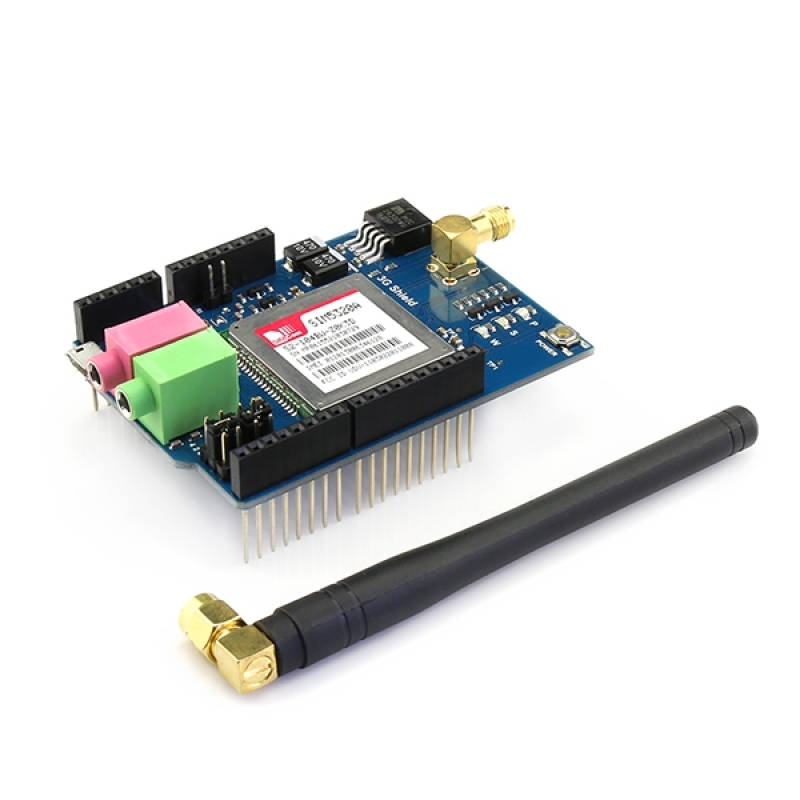 This is the American Version dual-band UMTS/HSDPA 850/1900MHz WCDMA + HSDPA For Europen version, Click here. You may also need some required & recommended accessories to make this 3G shield work. These are not included! SIM Card. A 2G or 3G Mini SIM card is required to do anything on the cellular network.